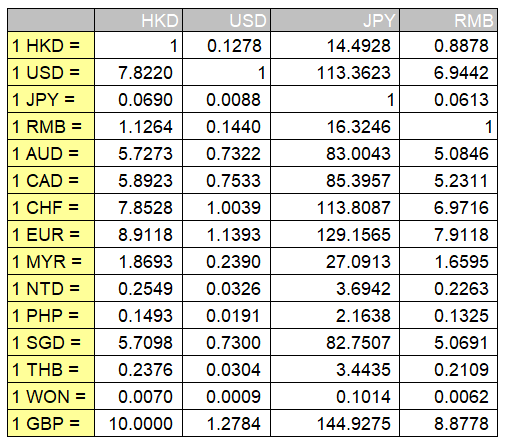 The first table is checked from “The Hong Kong Association of Banks” at the last day of the previous month. at the last day of the previous month. Aoba Group 2017, ALL RIGHTS RESERVED.